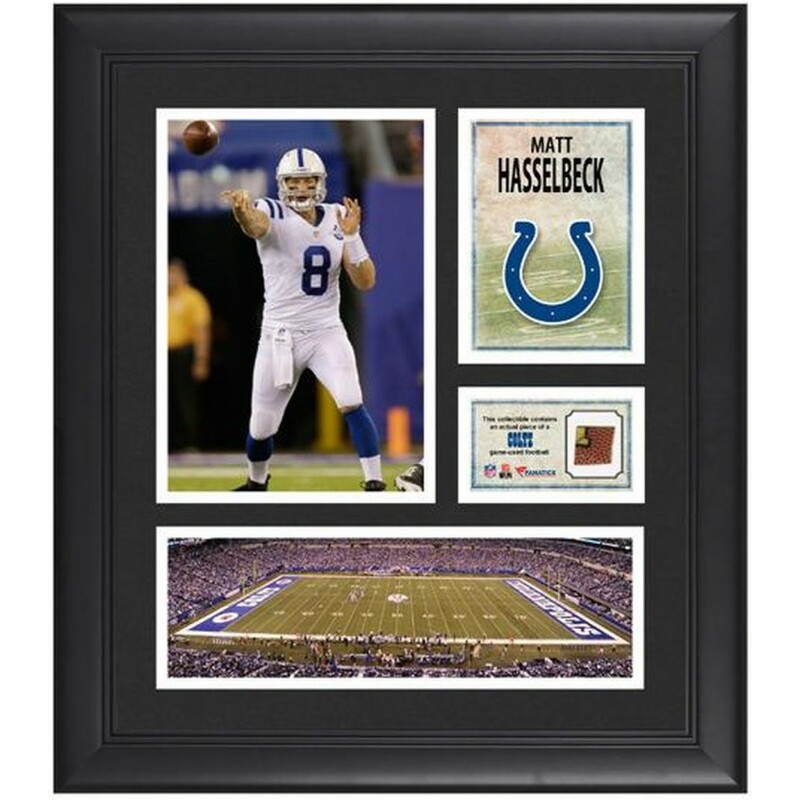 Each of these collectibles comes designed with a photo of the player and home stadium, a team logo, and an actual piece of game-used football from an Indianapolis Colts game. It is officially licensed by the National Football League and comes with a statement of authenticity. It is framed in black wood and measures 15''x 17''x 1''. Free Up Your Desk Space for 2 footballs! This beautiful "Case-Up" allows you to display your 2 full ..
Commemorate Clayton Kershaw as the 2014 NL MVP with this framed collage. Each piece comes with a col.. Celebrate Kyle Busch 100th Win with this commemorative plaque. Each collectible comes with an 8x10 i.. This framed jersey has been personally hand-signed by Pavel Datsyuk. It is officially licensed by th.. This 8'' x 10'' photograph has been personally hand-signed by Matt Forte. It is officially licensed .. The Deluxe Football Display case includes the New England Patriots Super Bowl 49 Champions logo beau..
Each collectible comes with an image of the team logo sublimated onto a black plaque.Officially lice.. In Super Bowl V on January 17, 1971, the Baltimore Colts defeated the Dallas Cowboys 16-13. Here's t..
Each Plaque comes with a LSU Tigers image sublimated onto a pressboard plaque with a black overlay f.. The Chicago Cubs baseball bat display case is made of 1/8"-thick acrylic and framed in a mahogany fi..
Commemorate the Arizona Wildcats' upset win over then #2 Oregon Ducks with this sublimated plaque. E..